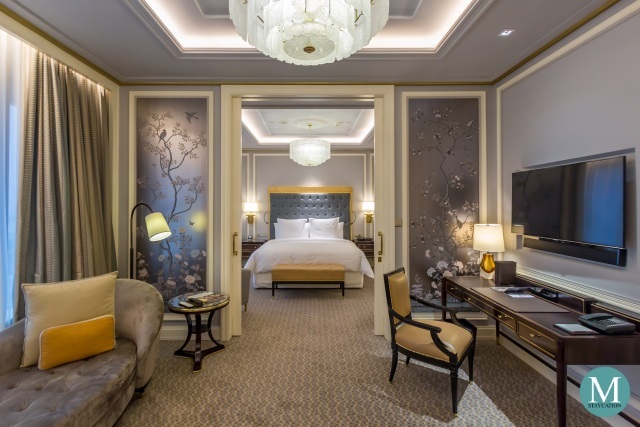 Kerry Hotel Hong Kong guests staying in Club Rooms or Suites, as well as Golden Circle Diamond members, enjoy a host of benefits at the exclusive Club Lounge. 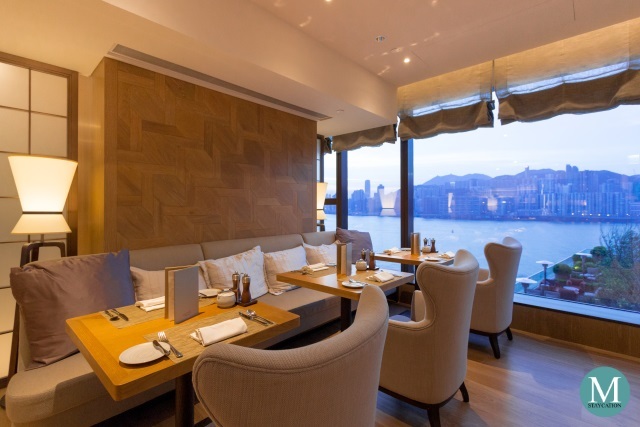 Located on the 8th floor of the hotel, the Club Lounge features floor-to-ceiling windows that offer spectacular vistas of Victoria Harbour and the surrounding cityscape. 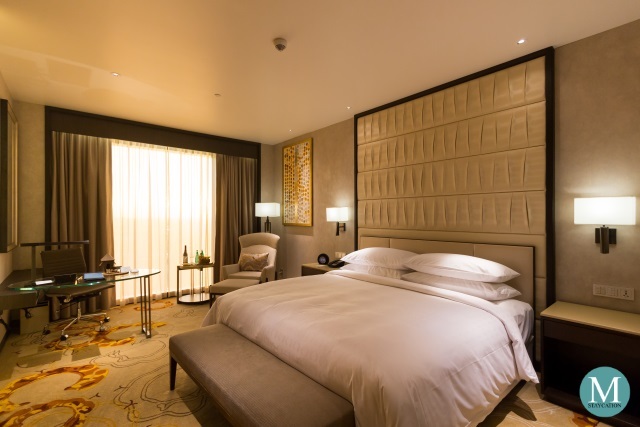 The interior of the Club Lounge is consistent with the understated luxury design of the guestrooms and suites of the hotel while splashes of blue, grey, violet and lavender add a modern vibe to the space. 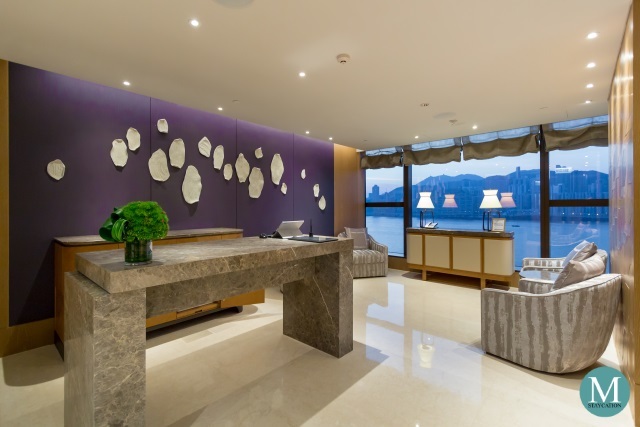 Art works and accent pieces were carefully selected give a local touch to the overall design. 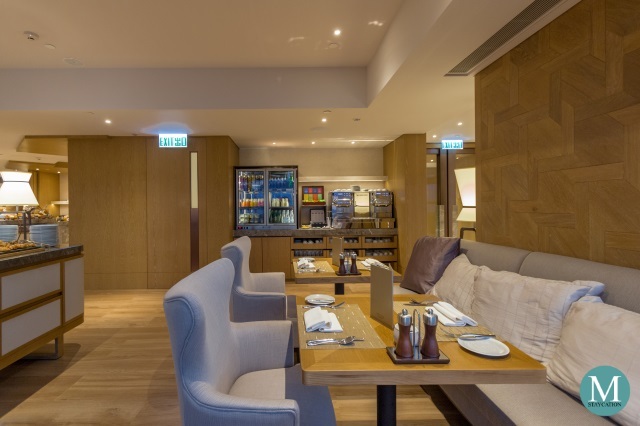 It is one of the most spacious club lounges I have seen with plenty of seating areas that can accommodate big groups, small families or couples. Tables located next to the glass window are obviously the most popular among guests. For guests who wish to work with their laptops at the lounge, there are plenty of seats located near power outlets. WiFi internet connection is excellent. 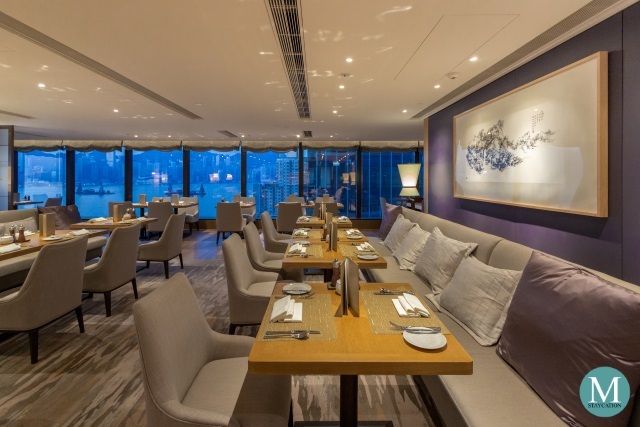 From 5:30pm to 7:30pm, guests can enjoy free-flowing wines, beers, cocktails, sodas and juices to be paired with a variety of hot and cold dishes. 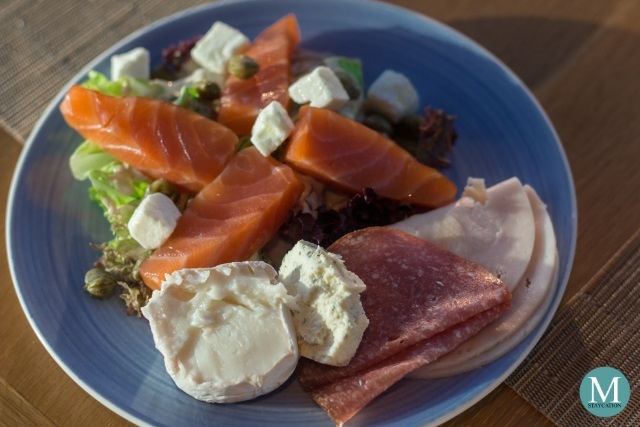 There's the usual charcuterie and fromagerie section plus a variety of breads and salads. Dishes served at the Club Lounge during pre-dinner cocktails can actually pass as light dinner. 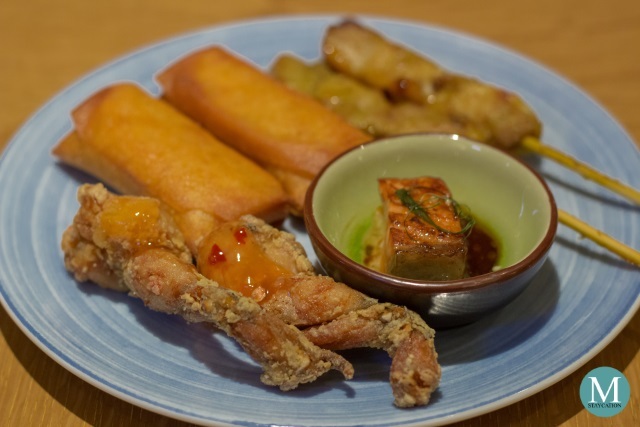 There's a wide selection of warm dishes including vegetable spring rolls, chicken satay, lamb meat balls, croquettes, pan-seared salmon, as well as crispy frog legs (my favorite). I had a couple of glasses of sparkling wine and rosé. 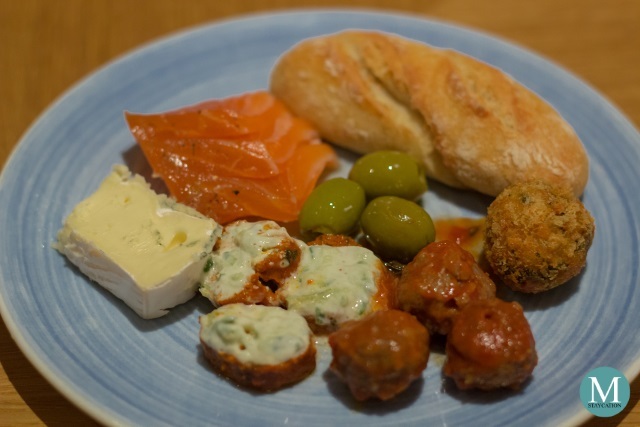 From time to time, lounge attendants would also offer pass-around canapes. There's also macarons and small servings of cakes for dessert which guests can pair with coffee. 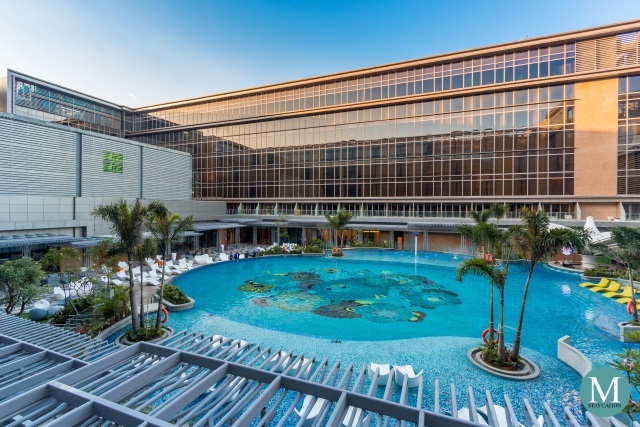 Guests with access to the Club Lounge may choose to have a semi-buffet breakfast at the lounge or a full buffet breakfast at the Big Bay Cafe, the hotel's all-day dining restaurant. 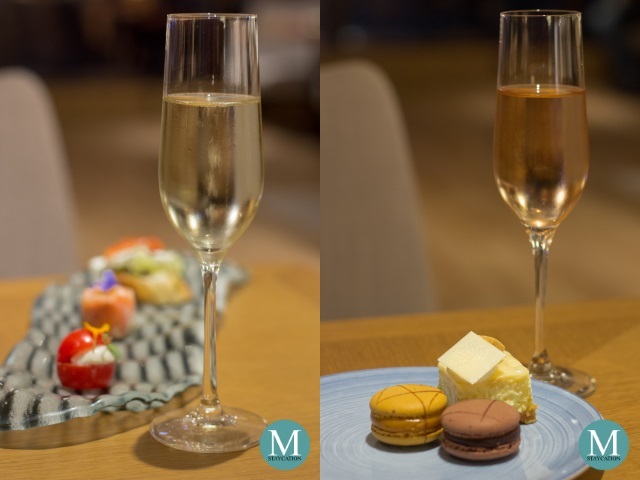 Since I stayed at Kerry Hotel Hong Kong for three days, I was able to sample both. 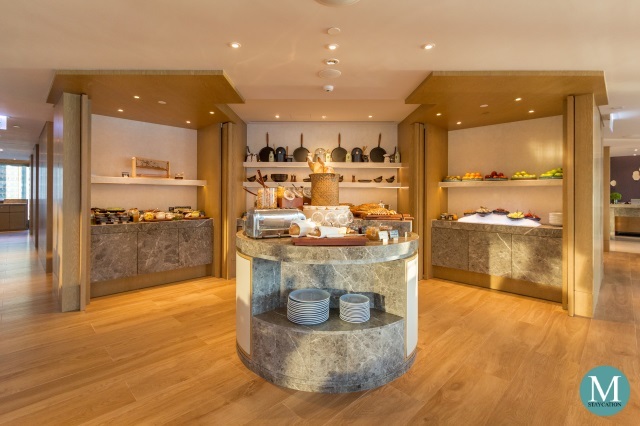 The Semi-Buffet Breakfast at the Club Lounge consists of a buffet of continental items such as breads and pastries, viennoiserie, charcuterie and fromagerie. There's also a station for DIY salad with fresh greens, vegetables, a variety of dressings and toppings. I made a serving of my favorite Caesar Salad with capers and olives, and topped with slices of smoked salmon and chunks of feta cheese. On the side, I also had some slices of cold cuts, a portion of Brie and Gorgonzola. I rarely eat viennoiserie for breakfast but these two Danish pastries looks so irresistibly delicious. They were flakey, buttery and creamy. The fruit toppings were fresh and not overly sweet. They went well with my Latte. 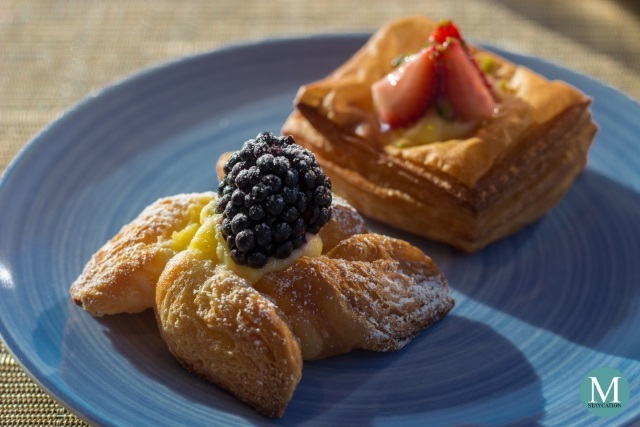 The Semi-Buffet Breakfast also comes with an a la carte menu from which guests can order up to 2 dishes per person. Choices include egg dishes, omelettes, pancakes, noddles, and a few meat dishes. 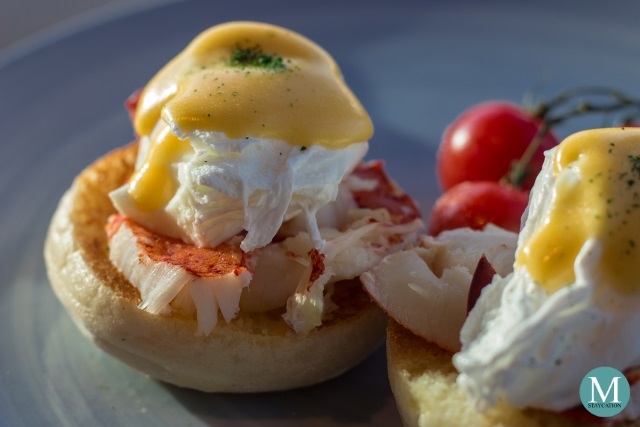 The first dish I ordered was the Lobster Eggs Benedict. The toasted English muffin was crunchy with a light buttery flavor. It was topped with lobster medallion, poached egg and Béarnaise sauce. For my second dish, the Pan-Fried Grass-Fed Wild Hereford Australian Minute Steak really got my attention. It's not a common breakfast item you see in a club lounge a la carte menu, so I decided to order one. The meat was very tender and flavorful. 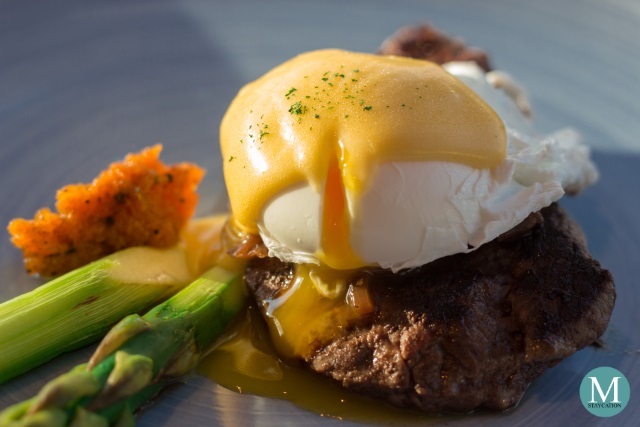 The 63-degree egg and the Hollandaise sauce topping made the steak tasting very rich, making it a perfect pair for soft rolls or croissants. 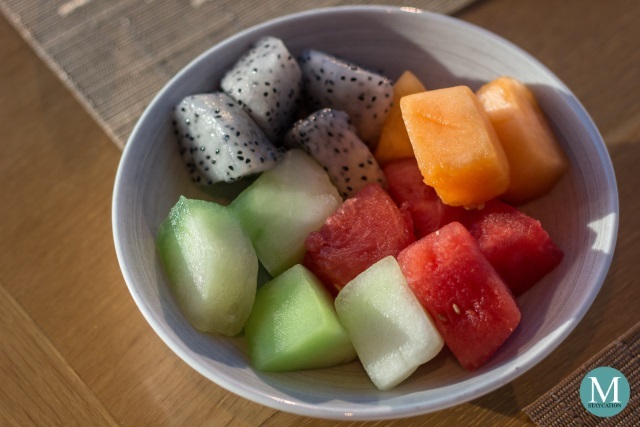 As always, I ended my breakfast with a bowl of fresh fruits (watermelon, melon, honeydew and dragonfruit) and a glass of chilled orange juice. 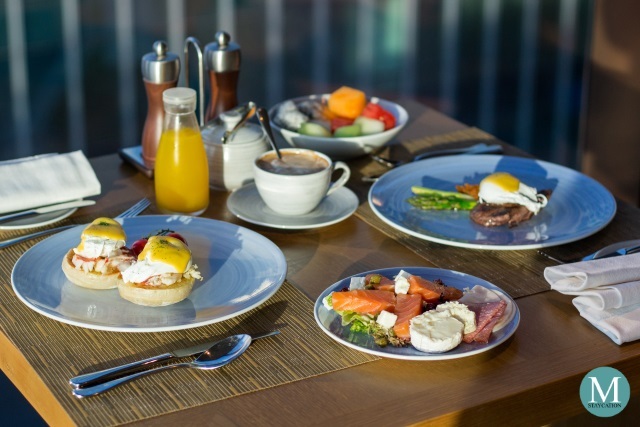 The Semi-Buffet Breakfast is available from 6:30am to 10:30am. The busiest time is between 8:00am to 10:00am.